GearTec recently purchased and installed a new CMMHexagon Model 12.22.10 Global S Chrome. The Global S measuring solution is the Hexagon’s Enhanced Productivity Series (EPS). The EPS platform is designed specifically to simplify the creation, execution and analysis of measurement routines. The Global S CMM solution is a complete package utilized to enhance any Quality program. 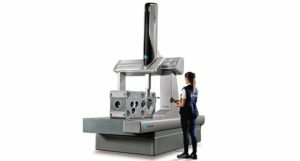 The Global S CMM impacts dimensional inspection operations with higher productivity in demand by industries such as automotive, aerospace, general mechanics and precision mechanics industries.